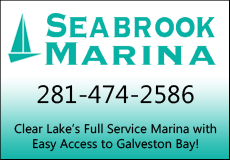 Well-known boat dealers Gulf Coast Marine have come to Seabrook. This legend of the marine industry, trusted since 1954, is now located on the shores of Clear Lake. 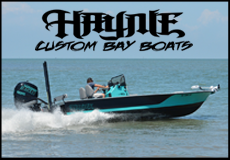 The Holmes family and owners of Gulf Coast Marine are very proud of their impeccable reputation in selling premium center console fishing boats with ‘moves’ like Everglades, Contender, World Cat, Sea Hunt and Tiburon. Gulf Coast Marine prides themselves on customer service, repair and working long term with their valued customers. They are very excited to be working with their experienced and highly trained staff of their own and the Endeavor Marine Group. According to marine maven and manager Richard Branscomb, their goal is find you the premium boat that is perfect for you and your needs. They also want you to enjoy what they call the ‘Ultimate Boating Experience.’ They have been delivering this promise since the first day that the esteemed Bill Holmes Sr. started this business 64 years ago. Son of the founder, Bill Holmes Jr. continues to carry on the family integrity in boating and marine sales. There is no substitute when it comes to their reputation and good name. They have three locations; Corpus Christi, Hitchcock and now Seabrook. The Holmes family had the vision to see and understand the affluent Seabrook market. Our region is the third largest boating community in the nation. 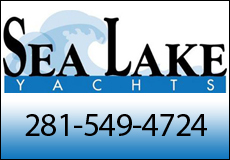 Their goal is to be the best boat sales and repair on Clear Lake. 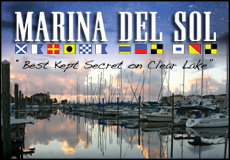 Gulf Coast Marine will work closely with the talented team at Endeavor Marina. The soft opening for the Seabrook location will be early this July. The Holmes family has made a major commitment to our community. It will enhance and increase our economic development and our image in the marine industry. They also promise to support local community programs.